Join us, and you too can win the big bucks! 2019 will be our sixth season on the MGA Tour, and we're accepting new members. 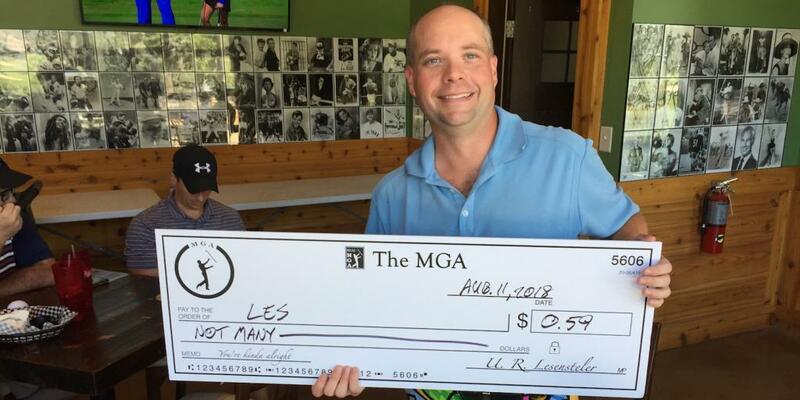 Click here to contact our chapter leader, or go ahead and visit the MGA membership page (http://www.mgatour.com/member-benefits) for more information and to sign up. 2019 SCHEDULING: The MGA national office has a recommended schedule with Saturday dates, but we’re going to be more flexible depending on everyone’s availability. We’ll send a Doodle poll well in advance of each event with several Saturday and Sunday options, and will pick a date that gives us the best possible attendance. P.S. Be sure to follow us on Facebook and Twitter!